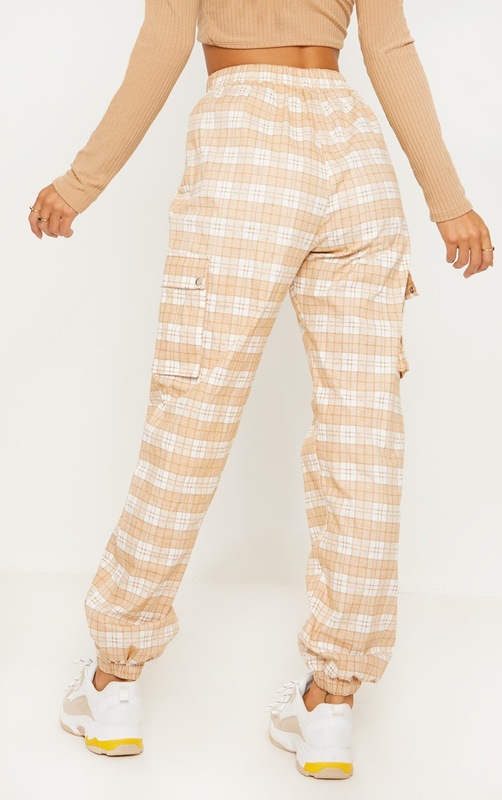 We are obsessing over cargo trousers this season girl. 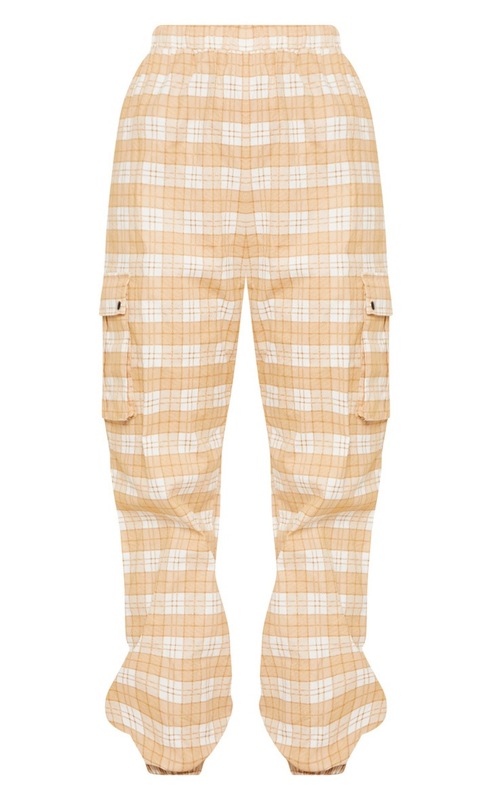 Featuring a stone check material, an elasticated waistband and cargo pocket detailing. 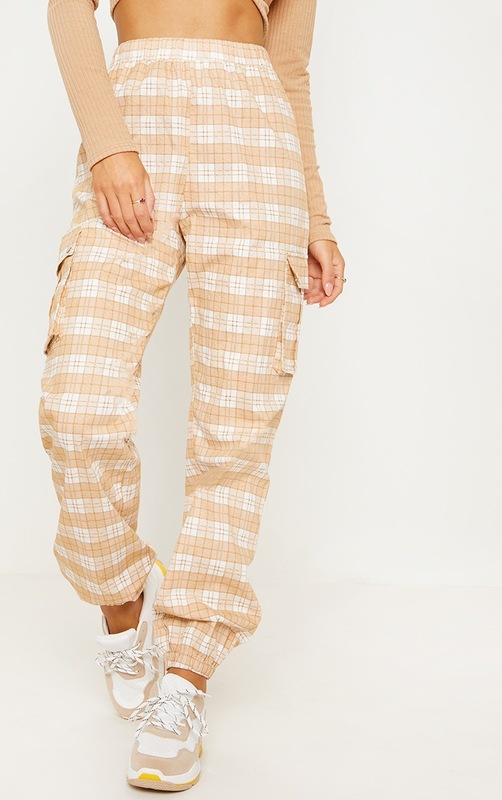 Style these trousers with a crop top and fresh kicks for an ultimate off-duty look.